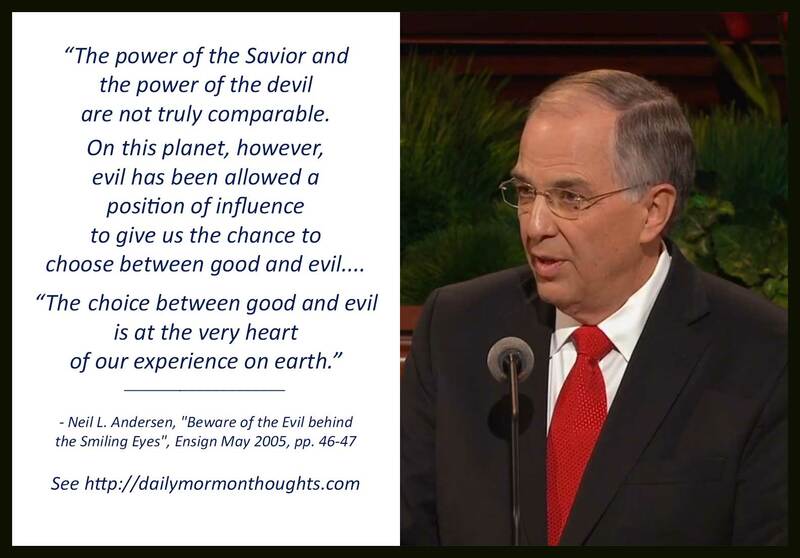 "The power of the Savior and the power of the devil are not truly comparable. (See Moses 1:1-22.) On this planet, however, evil has been allowed a position of influence to give us the chance to choose between good and evil. The scripture says: 'God gave unto man that he should act for himself. [And] man could not act for himself... [unless] he was enticed by... one or the other' (2 Ne. 2:16). "The choice between good and evil is at the very heart of our experience on earth. In the final review of our lives, it will not really matter if we were rich or poor, if we were athletic or not, if we had friends or were often forgotten. "Not one of us would say, 'I want to choose evil.' We all want to choose the right. However, the choice of good over evil is not always easy, because evil frequently lurks behind smiling eyes." 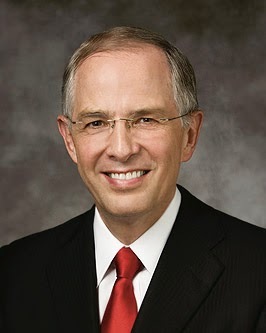 Elder Andersen's analysis of the purposes of mortality gives us valuable insight into the nature of our life here. There is indeed much evil in the world, but the power of good always surpasses the power of evil, so we need not fear in the end. The crucial choice of mortality, then, is that frequent and even constant battle between good and evil. The so-called "worldly achievements" of this experience matter nothing in comparison. We must learn to use our agency appropriately. The danger, Elder Andersen warns in this sermon, is how cleverly evil is often disguised, making that choice much more difficult.